I think the ADD Helper compiz idea was more usefull but ultimately more annoying as I would only want to use it while I was writing. I like full screen editors as they focus you away from distractions (Was Facebook but I deactivated that)now it is Google Reader as I love reading about my interests. Although I didn’t explicitly say so in the post, I think FocusWriter is a brilliant editor and the very thing that might get me into the habit of writing fullscreen, as much as I’ve previously disliked it. This article isn’t me bashing on fullscreen editing, it’s analyzing why I felt that way (e.g. poorly designed programs) and why it’s changed after using FocusWriter. However, I still think ADD Helper is a feasible alternative for writers who want to minimize distractions without shutting them out entirely. As for the “annoying” aspect of it, ADD Helper is activated/deactivated by a single keystroke of your own choice, so I can’t see switching it on or off as an issue. Have some good themes. Lets propose to the focuswriter’s autor to put a library/repository in your site to people put your theme to download easily? I think it will popularized more the app. Yep, I fully agree; FocusWriter is the most amazingly featured full-screen writing application available. Excellent design from the author, and a truly distraction free experience. It lets you set lots of things so your writing environment is really cool, then you forget about it and get on with writing. As an ex-programmer, I’m using it to actually WRITE and am weaning myself off downloading new OS’s and Application Development tools! The scrybr theme site seems to have gone away. Are there any other sites? Good question! I’ll do some more research into this and hopefully give you a follow-up post soon. This blog is long since dead, but I couldn’t not reply to this. Because SublimeText is designed for programming, and more importantly, costs fifty-nine dollars – that’s even more than Scrivener! You paid thousands for the computer you are using – but $59 is too much for the application you will use for hours each day? This application is a window to your machine in these hours, nothing else is there (in distraction-free state of mind). Well (aside from some top-notch open-source projects), polishing an application to look and feel great does take significant effort and time. I live from selling my own applications and perhaps that’s why I think people who work hard to deliver great applications deserve to be paid. I know, on Linux this still often isn’t the case – but I am sure many great applications will get ported to Linux so we can all choose if we want to pay for them. And developers will need to produce enough quality to justify product price to the audience used to not paying for the software. So in the end, it’s a win-win situation for all of us. Users get more choice, developers get larger audience. I get asked to port my applications to Linux all the time (http://www.fullconvert.com, http://www.spectralcore.com) – but there are no database components for Linux, nor highly-polished UI components for Linux. Until a mindset change comes in large-enough population, it won’t happen – nor will Linux replace Windows as a primary platform. So my customers need to mess with Wine on Linux. Pity. I think you missed the point of this blog, which is finding free writing software. Though even if that were not the case, recommending a $59 text editor specifically tailored for programming to writers is just absurd, especially when there is software tailored to writers for less money than that (i.e. Scrivener). If you were recommending it for programming purposes, of course, it would be an entirely different story. Spoken like a non-writer. Actually worse. A non-writer that doesn’t know anything about writing. I have been down this road soooooo many times during my IT career. Probably the first time I heard this was back in the Commodore days. Despite the fact there were actual word processors which allowed for actual document layout, VisiCalc (or was it VisaCalc) users demanded people buy this add-in which allowed them to do basic text editing, but no real document layout functions. Some years later I visited a client site which HAD ALREADY CHOSEN A CORPORATE STANDARD WORD PROCESSOR with a cluster of Lotus 1-2-3 users demanding the IT department buy them this add-on/plug-in for their beloved spreadsheet claiming it made it a great word processor. In truth it made it a text editor which couldn’t do half of the formatting of the corporate standard and couldn’t save in the corporate standard document format. Still, they clamored for it, oblivious to the reality. There are still a few grizzled old writers, not many, but a few, who use a basic text editor and manually key in LaTeX formatting tokens while they write. Then they go through piles of paper trying to get all of the formatting correct. I actually have UltraEdit. On Ubuntu it is next to useless. There isn’t even an option to tell it to use spaces instead of tabs or to change the tab size. On Windows it has all of those features. It is still worthless for text documents. Oddly enough it has been quite outpaced by many of the free editors available on that platform. On any given OS I have somewhere between a dozen and two dozen editors installed for various tasks. Sometimes the only task I have for the text editor is to “look different” than my primary editor so I can keep track of which editor I’m actually editing in and which one I’m pasting snippets from. This much I can tell you based on more than a decade of published writing. There is no text editor which can be used efficiently by an actual writer laying out a complete book for printing. There is no word processor which should ever be used for program editing. At best, a text editor can be used to rough out a blog post, but, you will still end up spending time with the blog site editor getting your post and links formatted correctly. Some text editors, such as Tea (http://tea-editor.sourceforge.net/) which can be quite useful when creating concordance files (http://www.logikalsolutions.com/wordpress/?p=215). Tea is quite unique in that it was created by a Russian journalist, not a programmer. Indeed, he knew nothing about programming when he started. He simply wanted an editor which worked like his mind did preparing articles. Despite all its greatness and cross platform capabilities, Tea is not useful when trying to write books. Here is a challenge for you. It is quite a simple challenge. Visit this site: http://infiniteexposure.net/ Click on the download link and download the free promotional version of the book in PDF format. Replicate it with ALL formatting, fonts, running page headers, etc. with your text editor plug in. Authors have to do this every day. Speaking as a multi-published author and an IT Geek of more than 20 years, I will help you acquire an imagination. Sublime is a half hearted attempt at a programming editor. I would actually place it behind jEdit, and I’m not a big fan of jEdit. There are many IDEs and programming editors out there which do a much better job. Have I used FocusWriter to write any of my books? No. I’ve used OpenOffice, Symphony, and lately LibreOffice. I don’t write in archaic “manuscript” form, I lay the book out completely as I write. That said, I do use FocusWriter quite frequently for blog posts and other documents. Many of us are old enough to remember WordPerfect under DOS, so this is a lot like a trip down memory lane. More so really. During DOS days, you didn’t get instant email notifications or other such things. You sat and you wrote. You had to exit the program to do anything else. There was no surfing the Web to look something up or other distractions. Sometimes I even close down the email client so I won’t get a notification. I use FocusWriter for when I need a plain interface which lets me block everything out. On those rare occasions when I’m being paid by the word to write, the live count is nice. Actually, I am also a 20+ years geek, who started programming on Amiga wading through thick hardware reference manual. No Internet, and the alternative was IBM XT, a crappy, crappy box. Having worked in myriad of languages and editor since, I highly appreciate Sublime Text. Being generally uninterested in debates of editors, Sublime is such a breath of fresh air that I will make an effort to explain. I started programming on Amiga and the best editor out there (for assembler at least) was AsmOne. I used it to create a 700k+ lines of pure assembler code (all right, precalculated data was included there). It was fast, easy on eyes, simple to use, and did exactly what it needed to do. Then throughout the years I went on to continue working on PC. And yes, WordPerfect for DOS is engraved in my memory as an example of ugly and non-intuitive editor. Of course, formatting text in DOS is no easy task, so perhaps I shouldn’t blame them. In short, there are text editors, by definitions much less than IDEs. The problem with IDEs is they are typically very very slow and have so many features that they get in a way more then they help. Your jEdit, for example, is a java-based editor. I didn’t use it, but I am pretty sure it suffers from the same problem as java IDEs I did look at – it’s probably slow and not really intuitive. Java is a cross-platform language, so user interface of Java applications tends to be a minimum common denominator between OS-es, in other words – crap. 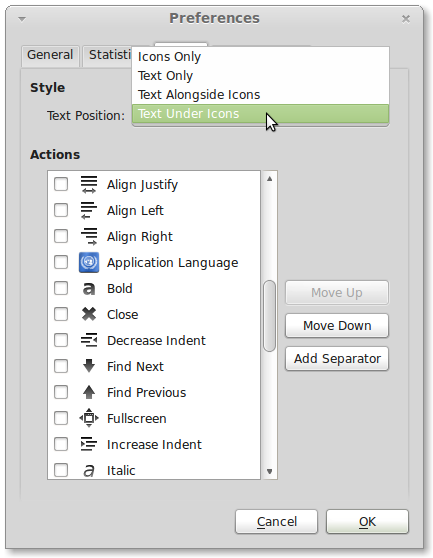 The absolutely best text editor I found so far is UltraEdit. It’s only for PC, but have beautiful macros I tend to use a lot. It’s fast. And it’s ugly. Now – Sublime Text is the one even faster than UltraEdit (except for large file find/replace, an area they will improve I hope). It’s in a version 2.0, released days ago. So generally it’s a young application. Written in C++, it’s very fast. But importantly – it has intelligent features, instead of simply adding tons of them (perhaps I should mention it supports all TextMate bundles, important for all the long-time users of TextMate waiting for years for TextMate to evolve). But the features it does have – are stellar. Its fuzzy search is brilliant and enables me to find a file I need in no time. Check it out. Its plugins are super-easy to install, so I get to have syntax highlight and more. Options are easy to modify (a JSON text file). I could talk and talk about it, something I never did for any other editor, ever. Yes, I am looking from perspective of a programmer, not a writer. But if I were a writer, I would write my books in Sublime Text – because it’s super fast, has beautiful themes so I get to easily choose look and feel I like – and has great distraction-free mode (two of them in fact). Many people adore its minimap where you scroll visual representation of document. It costs $59, but allows me to install on all my machines. So I have it installed on my Windows desktop, Ubuntu Linux desktop, Windows laptop, and Linux laptop – and it gets used on all of them.